Rural Revolution: Don't forget those skills! Some time ago I read a truthful statement: Preparedness is a three legged stool. The first leg is supplies, the second leg is community, and the third leg is skills/knowledge. Why three-legged? It's the classic geometry answer: three points define a plane. 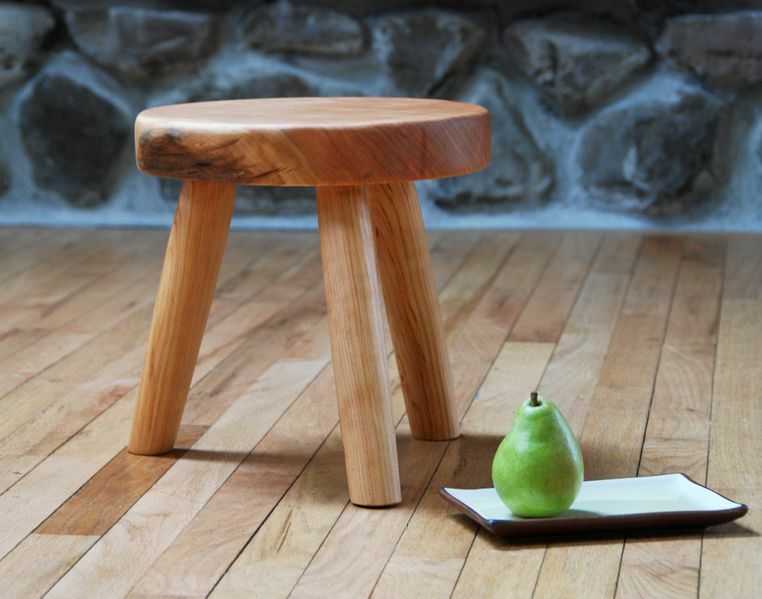 A three-legged stool doesn't wobble. Take away any one of the legs, and the stool topples. Most novice preppers understand the need for supplies (food, gear, etc.). Endless businesses have sprung up to fill those needs. Community is less appreciated but just as important. That's a whole 'nother blog post. But what about skills? That's the part of the triune a lot of people either forget or dismiss as unimportant or unnecessary. After all, that's what supplies are all about, right? Who needs skills when we all have the latest whiz-bang nifty gizmo to provide us with what we need? 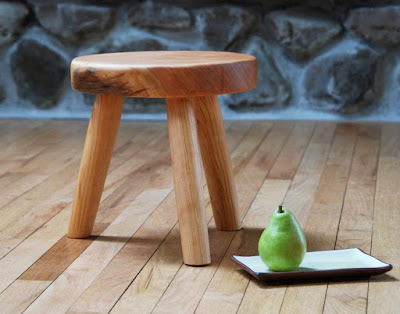 But remember, without that leg of skills/knowledge, the stool topples. With that in mind, here's a link I got off SurvivalBlog from a website called Backdoor Survival entitled 12 Skills for Preppers That Money Just Can’t Buy. "There comes a time when every prepper finally says, 'Enough with all of the food and enough with all of the gear!'" starts the article. "After years of seeking out the best stuff at the best prices, creating a stockpile, and purchasing equipment, you just might want to stop -- at least for awhile -- and focus on something else: the vital qualities and abilities that no amount of money can buy. ... The biggest stockpile in the county won’t be enough if you don’t learn the important skills that will carry you through when you’re faced with hard times. Likewise, there are certain personality traits that will enhance your ability to survive." The author then invites readers to add to the list. To my way of thinking, this list also underscores the need for community. No one can know it all (if they do, they're either super-human or -- ahem -- a know-it-all). But most people possess a few of these skills, either innately or by training. Ideally, within a community there is a good spread of people who can contribute to the overall skills level of the group. But that added notation after "Self-knowledge" ("Some people really delude themselves with regard to their abilities...") is so so so true: Without exception, we all think we're more knowledgeable than we really are. None of us will know the limits of our knowledge until we're tested. In other words, how "short" is that particular leg of your stool? Good stuff to think about as we face an uncertain future. Meanwhile, feel free to add to the list. What are some other important skills for preppers to acquire? There is always someone who knows more than you and less than you. Find those people. Learn from them and teach them what you know. I hope cooking was in the home-making skills, as it is often overlooked! With cooking comes proper nutrition and how to grow what you are not getting from your stored supplies. With the top 5 storage items of wheat, rice, corn, oats and beans, we need to add vitamins C and A. Also another skill related to cooking and gardening, is animal husbandry. In Idaho, we got really good with rabbits, chickens, turkeys and sheep, and had a couple of years of experience with cattle. Finding ourselves in the desert SouthWest most of the year now, I am starting to research aquaponics as a watersaving way to garden and raise fish. Never stop learning! Actual hands on skills and years of successful experience is worth more then gold, it is worth FOOD! Judy, not in Idaho right now! As for vitamin C (& others, I'm sure), sprouting your wheat actually leads to the production of vitamin C, which our bodies can't produce due to a faulty enzyme. Other animals can produce Vit C, but not humans. Avoid scurvy & boost your immune system by soaking your wheat & letting it sprout! Some things cross the line between storage and knowledge/skills... for example storing potatoes you have grown. You need the knowledge/skill to store in a proper location, but your experience will tell you that they may need a little attention in the dead of winter to pull off all those pesky eyes that keep growing. So it's not just storing stuff... it's the skill to know how and where to store and maintain what you've stored. Our weak link is a common one: lack of local communications. Frank and Fern emphasized organizing your own local ham radio group. That is what we are striving to do. Don't wait. Passing the ham license exam is easy. But it is like passing a driver license exam without ever being the wheel or even inside a motor vehicle. It is technically complicated. Ideally, try to find someone willing to 'hold your hand' and teach you how to program and operate your radio. I would think community is vital for the very reason that no one person can develop all the skills necessary for survival; but within a community persons can barter one skill for another, thus filling in the needs and gaps. I'm not sure what category this falls in... but if you're not spiritually prepped, you're not prepped. A firm grasp of Scripture and a close relationship with the Almighty is the only thing I know for sure I'm going to need, no matter what's coming. I think Christian preppers realize that it's the most important part of prepping, but they don't often actually make it their top priority. You will not be able to "stock up" at the last minute. You need to be prepping now. I think most people overlook the most important survival trait of all, Being physically fit as you are able to be. When you consider the Hardships of the magnitude we are talking about.Then it will require a hardiness not normally seen these days.The ability to work from dusk till dawn foraging, hunting, being able to dal with deprivation of reduced calorie intake.Creature comforts. being physically fit would go a long way for warding off sickness and allowing the individual a real opportunity to survive. I think the biggest shortfall in all prepping is being mentally prepared. Many people know things, but will be unable to cope with the situations that present themselves and so will not utilize their knowledge and abilities. Many people have never seen death up close, only the fake versions on TV or the movies. Most people have never been shot at or in a real crisis situation. They have no clue as to the stresses it can create or how to deal with them. How will you cope with a close friends or relatives death? How will you react in a crisis? Could you kill someone in self defense? how about defending another person? How will you fight the depression, anxiety and sleeplessness that these actions often cause? Are you willing to do whatever it takes to survive, even if it means leaving someone behind or otherwise sacrificing someone close to you or in your group? Some of this can be experienced by volunteering or field work with cops, paramedics, etc. Some of it requires knowing who you are, finding your inner strength and deciding ahead of time how you will deal with life and death situations, requiring instant decisions. Some might call this survival instinct, but in many people today it is missing. Thee is no need of it in our society today, but in what lies ahead it will be a necessary part of life.